Government exists to deliver necessary services to the public. However, government has been failing in its responsibilities, while a few arms are trying to meet expectations, others are doing a terrible job, and the rest seem not to be doing anything at all. They continue to give myriad of excuses amidst the increase in demands of the public thanks to large scale digital transformation. From Thursday 9th of March to Saturday 11th 2017, I was part of trainers and mentors at a 3day bootcamp held for the purpose of equipping citizens with basic foundation in data literacy to aid them in interpreting, understanding, and ultimately crafting data-driven stories and building projects that use data journalism to develop visual evidence from data material in order to better hold government accountable for its actions and promises. 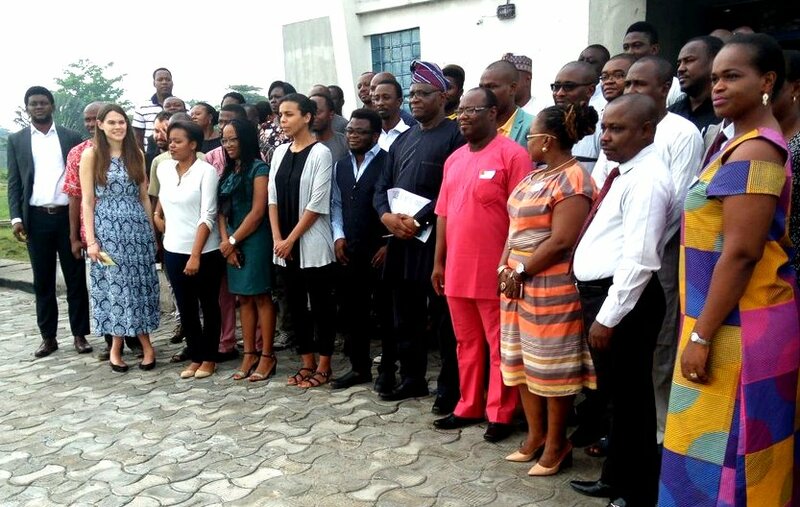 The bootcamp hosted over 70 participants including journalists, developers, producers, editors, civic watchdogs, technologists, digital designers and civic tech enthusiasts. 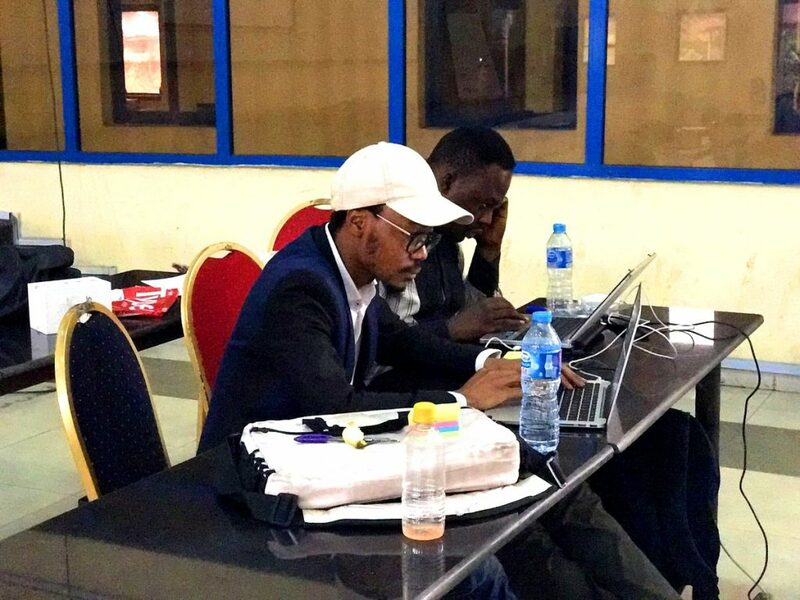 It was hosted in partnership with the Global Editor’s Network (GEN), and Google Nigeria, with support from Code for Africa, Hacks/Hackers Africa and the African Network of Centers for Investigative Reporting (ANCIR). Re-known Nigerian civic technologists and citizen data scientists were in attendance to assist in the training and mentoring of participants on how to use data to hold government accountable for their actions and to show the implications of failure to deliver on promises and policies. The mentors also helped the participants with hands-on learning and collaboration on team projects. It must be noted that due to digital transformation, there has been an exponential explosion in the amount of data generated since the dawn of the digital age. As a result, there have been persistent calls to improve data communication and consumption. Data communication between government and citizens on one side has been labelled ‘the bedrock for democracy and development’. Data itself has become the ‘oil’ of the global economy, hence it has become very important to break it down into small and easy to consume formats in order to show relationships between pieces of information that human eye just can’t see – relations about relations about relationships. As founding partner and Lead Data Design and Analyst at Orodata Science, I played a crucial part as a mentor and trainer to the participants, leveraging my field experience in data analysis, communication and visualization, using case studies and real-time examples to teach the participants who were divided into 12 groups on how to make meaning, reveal patterns, clues, make stories out of, and present data in a most informative and engaging way using standard creative visualization techniques. 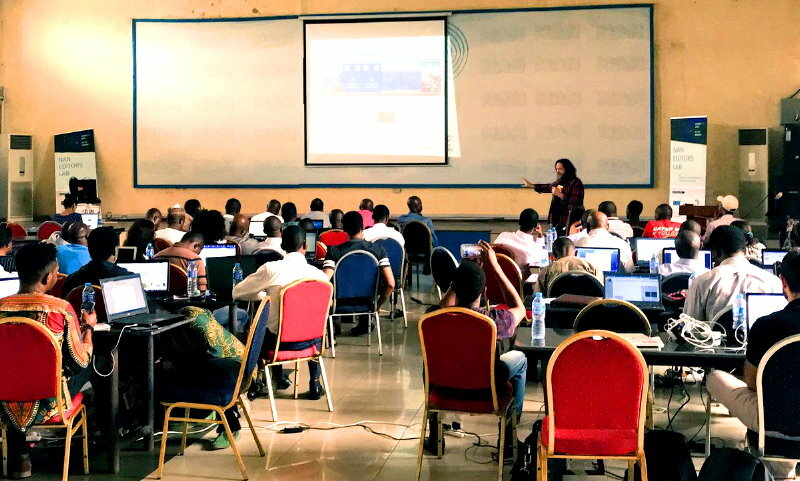 Amongst other allied methodologies like web development, programming, data analysis and mapping, – infographics and visualization were key parts of the training in order to equip the participants with digital tools and computational skills needed to unleash analytical evidence-based public discussion and visually create awareness necessary for transforming the society into digital democracies. The first day was the training and mentorship proper. The 2nd and 3rd were the bootcamp sessions. The grouped participants produced and pitched several civic tech solutions towards the end of the 3rd day. Some of these amazing solutions looked to expose the root cause of falling educational standards in Universities in Nigeria, report and monitor unethical behavior in public service, help the public report cases of reckless driving by commercial buses, educate the public on the dangers of improper medical care, help monitor the problematic registration process for a driver’s license in Nigeria and compare the needs of a community (Federal constituencies in Nigeria) to the projects actually done in the community. The winners of the pitch competition are to represent Nigeria in a global competition at GENSummit in Vienna. 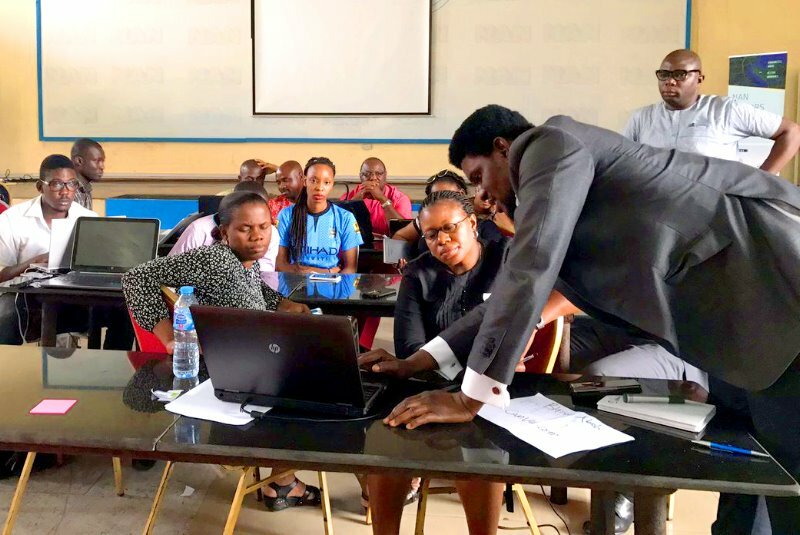 Looking back, the experience was a great one for me; being able to train and mentor all that many people and share my knowledge on data visualization plus how civic tools and data can be used to hold government accountable was largely invaluable. This was an eye opener for me because I saw citizens not just talking but thinking and working together in a very short time to proffer solutions to some of Nigeria’s multidimensional issues. 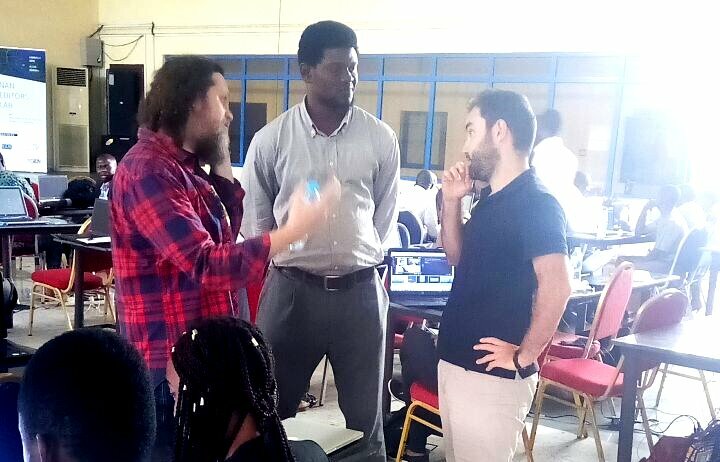 Most importantly I am very glad to have had the opportunity to work alongside the event’s creators; Justin Arenstein, Jacopo Ottaviani, Lilian Nduati of Code for Africa (CfAfrica), Africa’s largest data journalism and civic technology initiative and Evangeline de Bourgoing and Emily Kodjo of Global Editors Network (GEN), a French based organization committed to media innovation and sustainable journalism. The 3-day event took off on the 9th of March and ended on the 11th of March 2017 was held at the News Agency of Nigeria Media Centre, National Theatre Annex Lagos Nigeria.